Last year I attended the Australian Romance Readers Convention at Bondi in Sydney. One of the sessions that I attended was titled 'Outback and in Love'. At that time one of the publishers, Harlequin Australia, was represented, and they said very clearly that rural lit/romances were going to be the next big thing. A year later, if you go to any of the chain bookstores, this has definitely been shown to be true. Whether that is a self-fulfilling prophecy is hard to tell. The other night I counted 8 or 9 different rural lit books that were already in the stores, and there are lots more on their way. I thought this week I would ask a group of rural lit authors why it is that rural lit is doing so well now. The three authors who graciously agreed to answer my not-so-probing questions were Karly Lane (who was one of the authors on the panel that I mentioned earlier), Fleur McDonald and Fiona Palmer. Rural lit seems to be taking the Australian publishing landscape by storm at the moment. Why do you think it is so popular, and why now? Fleur: This is one question I'm asked a lot and one I haven't had an answer to. I have heard the success to McLeod's Daughters was unexpected but it definitely hit the spot with TV viewers, in both the city and country alike. 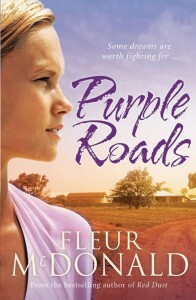 With Purple Roads coming out I have thought a lot more about it, as I was sure I'd be asked! Then, a few weeks ago, while drenching lambs, I had a 'light bulb' moment ( I always like them!) This is what I came up with: maybe it's because women on the land are excited someone is taking an interest in them and other women like reading about success stories. For a long time, women have been the 'forgotten' people on farms and stations - the blokes tended to get a lot of recognition for the hard work they were doing, but no one really saw what the women were doing. Yes, they have been raising kids, cooking up a storm and educating the older children, but I'll bet you find that during other times, they were out in the paddocks doing exactly the same as the men were doing. Certainly this is the case with my family and many others I know. So perhaps this genre is resonating with people because women are being recognised in the agricultural industry. This isn't a new genre; it's been around for a long time - a story that springs to mind is Robbery Under Arms, which was published back in the late 1800's - the story of a bushranger who marries the daughter of a grazier (http://en.wikipedia.org/wiki/Robbery_Under_Arms ) Today's stories tell of strong rural women overcoming trials and tribulations and women on the land (and in the cities) having been doing this since time began. Karly: I'm not really sure why now..as a reader of Australian fiction- I know there was barely enough rural fiction coming out to satisfy me in years gone by, so as a reader, I think it's great to have so many titles coming out on a more regular basis.I guess Publishers have finally realised there is indeed an insatiable need out there for it. 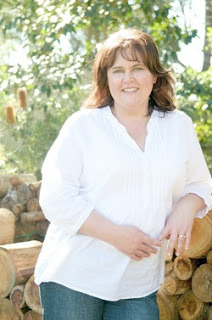 Fiona: There have been other rural writers before us who have been very successful but as for why it’s really surged ahead now, I’m not so sure. Maybe because with the sudden dip of the industry, the rural books are still selling well so publishers are really jumping on board and have actively searched for more? Just one theory. Or maybe it’s just something new that is running ahead, and who knows how long it will stay popular for? A lot of the authors who are writing rural lit either live in the country or at least have spent a lot of time in the country. What is the best thing about being an author living in the country, and what is the hardest thing especially in the context of publishing new books. 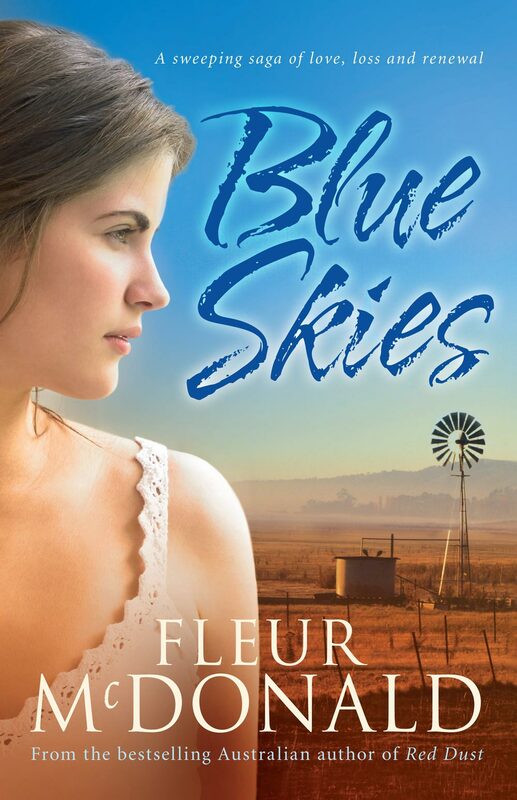 Fleur: There isn't anything hard about writing, publishing and living in remote areas. The internet has seen to that. I do all of submitting, editing and some of the marketing, via email, Facebook, Twitter and my website. I guess if there were to be a down side, it does take time to get to places when I'm touring, but really, that is just a minor hiccup. The best thing is I have my inspiration all around me, the setting around me - if I get stuck, all I need to do is walk outside, breathe the air and listen to the sounds. Karly: The best thing, I guess is that we get to write about our lifestyle.The hardest thing? I guess with most things rural; health care, representation, transport...being in regional Australia makes it difficult to have that face to face contact with publishers and readers and there is often long distances to travel to get to events, but technology has helped in bringing these things together and closing that gap a little. Fiona: The best thing is that my inspiration is right out my window. I’m experiencing the sunsets everyday that I write about and seeing first hand the trials of bush living. It renews my enthusiasm for my rural stories. I don’t think I could write as authentic living anywhere else. As for the hardest, that is the publicity side of things. Especially being in WA. Doing a book tour to reach heaps of people means lots of travelling and it’s a huge expense. We have to be more online focused. Fleur: Oh, that's a tricky one - I probably don't know enough people in the city to know of their misconceptions. Although I do think, sometimes, they might be shocked at the distances we travel without batting an eyelid. To me, driving nine hours to Perth is all in days work, but I have heard some people gasp at that! Karly: I think it would be to dispel the concept of 'the outback'--what people believe makes up rural Australia. The outback isn't only dry desolate country, it's made up of all kinds of landscapes and environments. Bushland twenty minutes from the coast can be just as remote and lonely as the wide open plains of the Simpson desert. I think a lot of people confuse rural with the notion of red dust, drought and dried out animal skulls as the 'typical' outback image. Fiona: That it’s romantic. No, that’s not all true. It can be romantic but for a lot of people it’s a hard slog and its not always happy endings like our books. Not everyone finds a Mr or Mrs Perfect, as being so isolated it’s very hard to meet potential partners. It can be a very lonely lifestyle if you let it. Finally, a chance for you to tell the readers about your own works. Also, what is it that you would like your readers to take away when they read one of your books? Fleur: I really want people to feel sad the book has ended; I hope they've befriended the characters and will miss them when they're not reading about them. That the reader will want to go and visit the book again, over time. 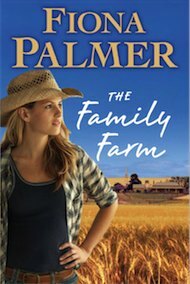 I tell stories of farming through the eyes of a female main character. Of course there is always a bit of romance in there, but I like to think, the journey of the characters and the crime side of things is more obvious than the romance! 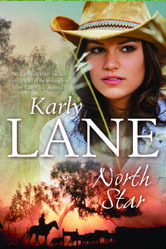 Karly: I tend to base my books more on the rural community and family aspect of rural life. I don't live on a working property and so I don't tend to write in depth about the day to day farm life that maybe some of the other rural authors do. I hope that readers finish my books and come away with a smile on their face. I hope that they've met characters they could easily become friends with in real life and that they can relate to some, if not most, of the characters and their situations in my books. North Star, my first book, is being re-released in paperback and available in stores now and Morgan's Law is due to come out in May. 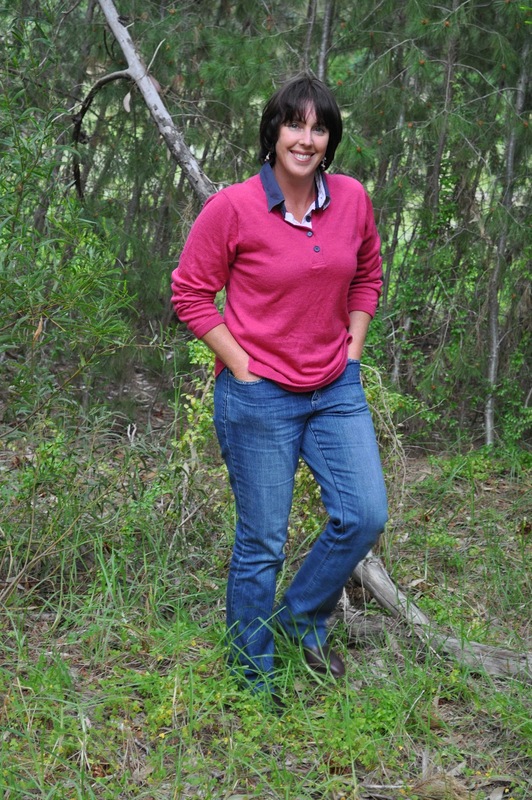 Fiona: My stories are about strong heroine’s, thrown in with some other memorable characters and heaps of rural magic that leaves you feeling like you’ve lived in the bush. 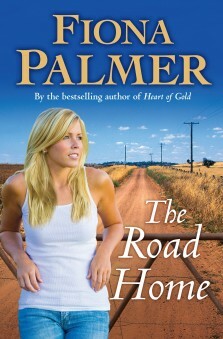 My latest book The Road Home is out now about Lara, who is one determined woman, trying to find what makes her truly happy. I’m hopeful that the readers get a story that they can’t put down and that they have a little more understanding of what country life is like. That at some stage they could feel as if they were in the country itself and if they get to the last page and have a big smile, then I’m a happy little writer. 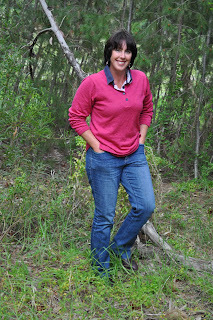 Fleur McDonald - Fleur was born and raised in outback South Australia but now lives with her husband and children on a wheat farm outside Esperance, Western Australia. She is the author of three books so far. Karly Lane - Karly Lane lives on the Mid North Coast of NSW. Proud mum to four beautiful children and wife of one very patient mechanic, she is lucky enough to get to spend her day doing the two things she loves most-being a mum and writing stories set in beautiful rural Australia. She has written two books under the Karly Lane name as well as also being published under the name Karlene Blakemore-Mowle. 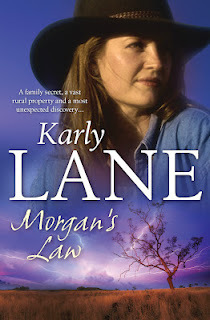 The second Karly Lane book, Morgan's Run, is out in May. 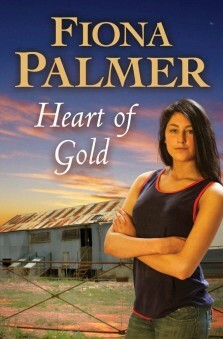 Fiona Palmer - Fiona Palmer lives in the tiny rural town of Pingaring in south-east Western Australia. She discovered Danielle Steele at the age of eleven, and now writes her own brand of bestselling rural romance. 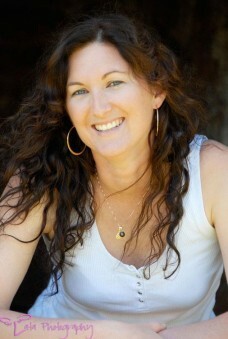 She received an Australian Society of Authors mentorship for her first novel, The Family Farm. She has extensive farming experience, does the local mailrun, and was a speedway racing driver for seven years. She currently works at the local shop in between writing her next book and looking after her two small children. I'm not an Australian resident (I live in the southern US), but for the past several years I have been attracted to books based in rural settings. My kids call them "prairie romances" :-). It is interesting to know that half a world away this is a popular genre. I was wondering about if this same focus is present in other markets or not. I was thinking about contemporary cowboy romances from authors like Linda Lael Miller but I don't think it is exactly the same so maybe prairie romances are more the equal! Hi Dani, so great to hear you're interested in rural lit books! 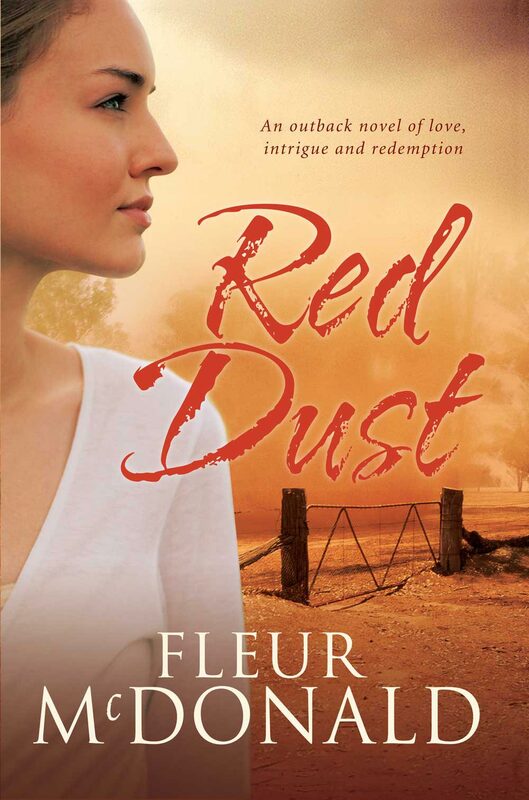 Both Red Dust and Blue Skies (my first two books) are available in the US, in case you are interested. They were released there last year. Hi Marg, thanks for a most interesting blog post. Last year when there was all that fuss about the Miles Franklin one of the comments I read was something about how the award was *too* focussed on rural Australian life and ignored urban Australia, but what your post reveals is that stories of the rural heart of Australia are popular with everyone. I think it might be because everyone knows (even if they haven't experienced it personally) how hard rural life can be, and yet every day rural Aussies deal with it. That's inspiring. I am so glad that your commenting issues seem to be resolved Lisa! Hello Intrepid Reader, as a Rural Lit author I was interested to see this post. If storytelling reflects the distinctiveness of the time in which a work is published, then rural fiction’s current revival is particularly important. Genre explosions are obviously reader driven and the concensus at the moment is that the increased interest in the genre has much to do with a) the natural disasters that have plagued the bush over the last decade therefore throwing the 'outback' into prominence and b) the desire for strong female protagonists in challenging environments. c) Finally authenticity in terms of author background is a strong marketing force.Many of the more popular authors literally live and breath what they write and are passionate about the Australian bush. This has touched a chord with many readers in both major urban areas and the bush. Hi Nicole, thanks so much both for stopping by and for sharing your thoughts! 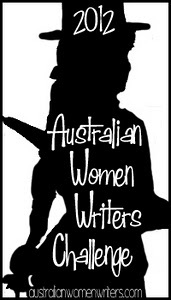 Hi everyone, thank you for the opportunity to talk a bit about our genre Marg, and I feel very honoured to be up there with two fantastic authors such as Fleur and Fiona. So excited about the future of rural lit and can't wait to share the other books lined up waiting to come out! Thank you Karly for agreeing to answer my questions! My mum is really into this as a genre at present. What she likes about these books is that they're all factually correct (she's a country girl herself). I think rural lit is important - so much of Australia is country, and a lot of us haven't experienced rural life. Sam, I think that is a factor for me too! Marg, a very interesting Sunday Salon post, with three new authors to add to the list. In fact I'm going to forget the list & head to Amazon! Julie, I really hope that you enjoy the books! I love this post Marg. As a reader i am drawn to rural lit and have read the new releases of each of these authors; Fiona, Karly and Fleur and enjoyed them all :-) I like that these stories represent strong women, working hard and that the men don't have to come along and save the day. Living in Sydney's suburbs, i've always dreamt of having a property and living in the countryside because I love nature and the peacefulness that comes with being in the country. So, i suppose rural lit is my little outlet to experience rural living through the eyes of another. That idea of a tree change or sea change is definitely very attractive to a lot of people! Really interesting discussion, thank you Marg! I haven't read much rural Aussie lit but I've read a fair bit set in rural UK and find a definite contradiction between attempts to make it seem romantic and the reality that I remember from growing up in a small country town. I think that the fact that most of the authors are actually living the life help give a romantic story without overly romanticising the life! Really enjoyable post, ladies. Thanks. I'm delighted this genre has become so big, and not only because I'm a rural author. As a reader I've been frustrated for years at the paucity of Australian, rural-set books in which women are the protagonists and where there’s a satisfying romance to provide that wonderful ‘aaah’ feeling as I turn the last page. Books with strong heroines who triumph over adversity and find love and self-fulfilment in a landscape devoid of designer label shoes and other weird things I can’t relate to. Seeing Rachael Treasure's Jillaroo hit the shelves was such an "about bloody time" moment. Yes, I enjoy reading foreign-set rurals but our home-grown genre is what I really love. Long may its success continue! Thanks for commenting Cathryn. I am definitely looking for books that I can finish with a contented sigh! Very interesting post! I'm happy to see so many authors chiming in, too. Great discussion about the rising star of Australian publishing, Marg. Rural Lit is the shining light at the moment in an otherwise difficult selling market. Readers are snapping them up and there are more good books due for release this year! I think some of the appeal is the fascination Australians have with the bush. I certainly spent my childhood and teenage years messing around with friend's and relative's horses and cows wishing I was a country girl. Perhaps it's why we all know who Slim Dusty was and can hum along to country and western songs on the radio. Australian city-folk tend to be only a couple of generations removed from the bush and small towns. Many of us have wonderful memories of camping on cattle properties or visiting elderly relatives in remote areas. And a determined, pro-active heroine is mandatory in a good story and Rural Lit has plenty of those!! Helene, that may be an important factor! My grandparents and back a few generations were all farmers. I do remember having a conversation with a few of my family members and we talked about the fact that most of my cousin's children including my own are all very city now! What an interesting post! I'd never heard of this genre before (granted, I'm not in Australia) and now I really want to read some. Will be checking out these three authors! Glad you found it interesting Beth! I am really enjoying exploring this genre, though technically I live in a rural area and my husband is the son of a blacksmith and grew up on a few acres, my experience of rural life is limited so I find the stories interesting. I also appreciate the sense of realism that the authors keep, rather than over romanticizing the realities of farming. The familiarity of the landscape and the people is another factor that appeals to me and of course I am happy to be able to support Australian authors. I wish all three much success!